My best description of eco-design is this: it works with nature, not against it; it is holistic, not reductionist; it takes advantage of free and abundant energy flows; and, it is good for people and the environment. My wife, Dani, and I have demonstrated the power of eco-design through our renovation and edible landscaping efforts in Castlecliff. The Wanganui District Council has demonstrated what happens when you ignore eco-design through the ongoing wastewater treatment plant fiasco, which has turned out to be costly, polluting, and unhealthy. While there are many forms of eco-design, one that appears to have established itself in New Zealand and Whanganui is permaculture. Like all eco-design systems, permaculture is science-based, but since its founding in the 1970s permaculture has also been grounded in ethics. 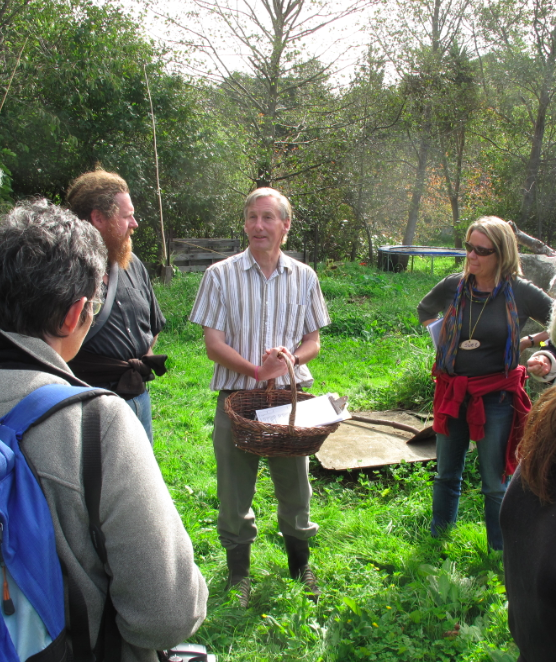 The permaculture ethics are: care for the earth; care for people; and, share surplus resources. Those people who identify themselves as permaculturists are ethically-bound to care and share – not so different to the teachings of Jesus, Mohamed, Buddha, and the prophets of other religions. In the case of practicing permaculturists, sharing surplus resources can take many forms. For example, surpluses may be fruits and veges, nuts, seeds, seedlings, saplings, or even funding for a community project. Many readers will be familiar with the generosity of local permaculturists Mark Christensen, Melinda Hatherly, Murray Jones, and Nolene Landrigan. For my part, surpluses do not include seedlings, saplings, or funding, but rather enthusiasm, experience, and knowledge. For example, I am happy to share the story of our eco-thrifty renovation with readers of the Chronicle on a weekly basis because it is a way for me to care for people and the earth. In other words, when readers adopt ideas from this column, they can save resources and money, live healthier lives, and have less impact on the environment. Additionally, Dani and I operate The ECO School, which is dedicated to providing high quality sustainability education to anyone who wants to learn, not just those who can afford to learn. E.C.O. is a Spanish acronym formed from the school’s name, La Escuela (the school) Ecologica, Cooperativa, y Obrera – Ecological, Cooperative and Working. Along with the individuals mentioned above, and other local permaculturists, we believe that community sustainability and resilience is best achieved through holistic, cooperative efforts that are open to all those who want to be involved. Over the last two years The ECO School has partnered with dozens of community organizations, religious groups, local businesses, schools, adult learning centres, and individuals on a wide range of projects. Like those successful programmes, our next project is a cooperative effort involving local permaculturists eager to share examples of how they care for the earth and for people. 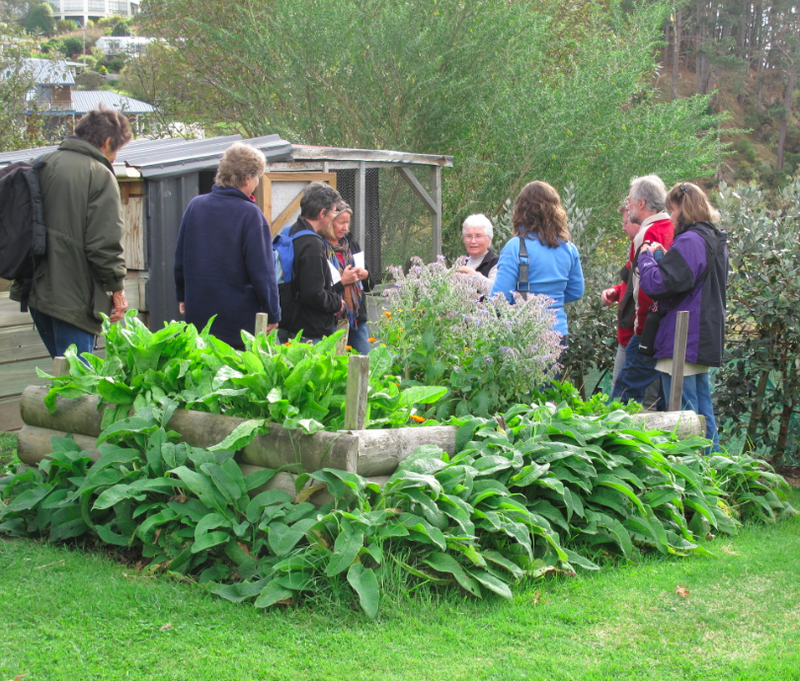 This Caring and Sharing Permaculture Weekend takes place the 20th-22nd of September. It kicks off with a shared meal at the Quaker Settlement on Friday the 20th at 6 pm followed by a speaker at 7:30 pm. Saturday and Sunday will offer field trips, workshops and presentations. All events are open to the public and any type of koha will be accepted. Please consider koha for each event, kia ora. 10:15 – 10:45. Tour of the new Whanganui Resource Recovery Centre (SWT) and Sustainable Whanganui Trust, Whanganui Environment Base (WhEB). 11:00 – 11:45. Discussion on ‘Designing for Generosity’. Vanessa Witt. 12:00 – 12:45. 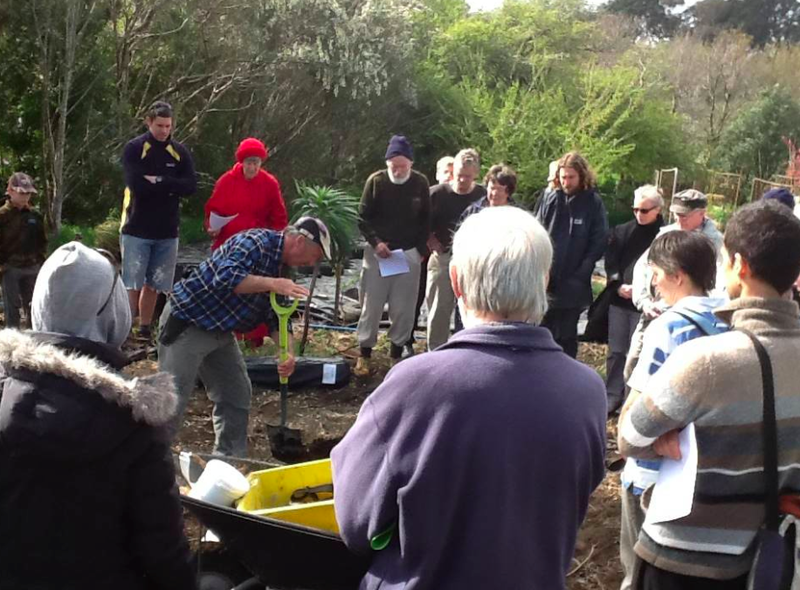 “Roots and Shoots: Growing Community Organisations in the Spirit of Permaculture” Sharon Stevens, RECAP fdr. Chairperson. 1:00 – 3:30. “Community Finance and Savings Pools: The Game!” Phil Stevens, Living Economies Educational Trust, Chairperson. Please register for addresses and pooled transport meeting time & place. Melinda Hatherly – treelife@xtra.co.nz or phone 342 5904. 3:30 – Pete Hewson’s property ‘The Hill’ Durie Hill. Meet 11:00 am at 10 Arawa Place for map and schedule. 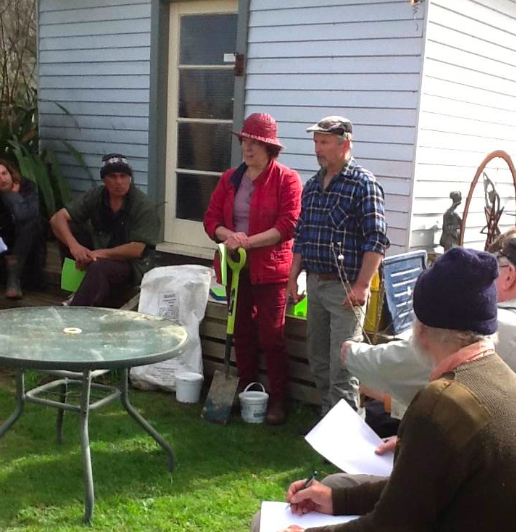 Please join the Permaculture Wanganui Facebook page!